Indiana Jones was a name brand by the time the third film rolled along. Frankly, there was little hope for The Last Crusade to match the expectations set out for it. Somehow along the way, however, someone struck upon the key to another sequel: the introduction of Sean Connery as Indiana Jones' father. The result was magical. 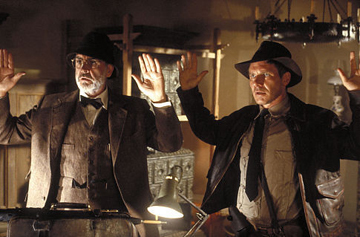 Unquestionably the best movie in the series, The Last Crusade manages the perfect mix of action and humor. It's one of the best movies ever made. How Well Do You Know it?